On March 31, 2017, Xbox head Phil Spencer tweeted a picture of the long-awaited Xbox One version of cult classic Phantom Dust. "Having fun today," he wrote. But for fans of this quirky gem from the creator of Panzer Dragoon, all this tease did was raise questions. Namely: when is this game actually coming out, if ever? In case you've lost track of this unique (albeit troubled) game's development, we've compiled and assembled a timeline of events to help you understand how we got to this point. Travel back in time to the year 2005. George W. Bush is President, most television stations are still broadcasting in standard definition, and you're the coolest kid on the block if you own a Motorola Razr. Such was the environment that the original Phantom Dust was released into. The game is set in a post-apocalyptic future, where players construct a deck of attacks almost akin to a collectible card game (even though the action itself is set up like a third-person brawler / shooter). It was weird and wild enough to garner critical acclaim and a devoted fanbase, but it didn't sell particularly well. While the fever has since died down, 2013 was still very much in the midst of the video game crowdfunding craze. After seeing several high-profile projects succeed with this new business model, Phantom Dust's lead director Yukio Futatsugi told USGamer that he was interested in creating a sequel to Phantom Dust, using funds secured via Kickstarter. In an interview with Official Xbox Magazine regarding the then-new Xbox One, head of Xbox Phil Spencer discussed potential franchises that could come to the console. He admitted to having a particular fondness for Phantom Dust, calling it "ahead of its time" and lamenting that it didn't get more attention. Spencer said Microsoft was "in talks" to bring the game back in some form. A short teaser trailer consisting only of a minute and a half of prerendered footage appeared during Microsoft's E3 2014 press conference, sending fans into a tizzy. No specifics on gameplay or structure were given, though the game was commonly referred to as a reboot as opposed to a sequel or remaster. According to a report from Kotaku, Darkside Games, the studio behind the reboot, was shut down in early 2015. The report claimed that Phantom Dust was to be the developer's first solo project, after assisting with larger games like Sunset Overdrive and Borderlands. While Microsoft cancelled this version of Phantom Dust, the company maintained that something would still come of the announcement, saying that development would continue - just not at Darkside. Speaking with the GamerTag Radio podcast, Xbox product manager Aaron Greenberg said that Phantom Dust had been put on the back burner. "We’re currently exploring what we’re going to do longer term with Phantom Dust," Greenberg said. "The project is not cancelled, but we don’t have an active developer on it right now. It’s a project, like many things, that will take a little more time. At this time, we’re not giving any more updates on it." 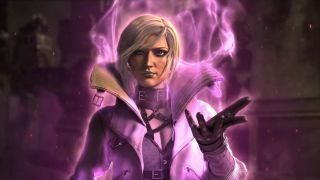 According to Xbox head Phil Spencer, the Phantom Dust reboot announcement was a case of enthusiasm getting ahead of practicality. "We started down a path with a developer, and it didn't work out," Spencer told Polygon. "There's no - on my side, at least - nothing negative about that: it just doesn't always work out." Spencer said in hindsight he wouldn't have announced the game so early into development, and that Microsoft was currently trying to find a developer that "really gets the IP." The scope of the Phantom Dust revival has changed several times. First it was intended to be a reboot, built from the ground up by a new developer. By E3 2016, it was revealed that the game would simply be a remaster of the original game, with the original 2005 assets running at increased resolution and a more stable framerate. This re-release would also include better support for Xbox Live, which was in its infancy when the original debuted. A handful of upscaled cutscenes and snippets of gameplay were shown, along with a 2017 release window. So what does Phantom Dust running on an Xbox One in 2017 look like? Not a whole lot different from how it looked on an OG Xbox in 2005, according to Spencer's tweet. And for some, that's just fine. Big fan of cult classics on Microsoft's consoles? Check out our list of the 15 Xbox franchises that deserve another shot.